The Haytham Safia Qu4rtet is a unique ensemble. 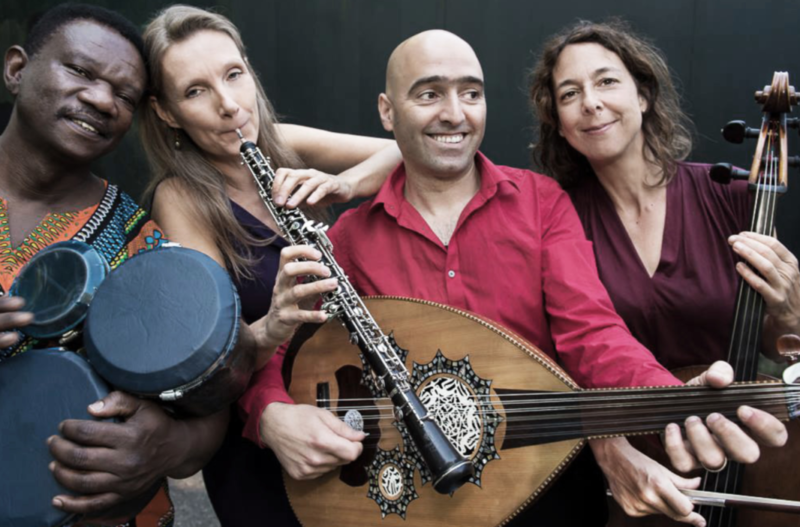 Its members form a vibrant spectrum of diversity: male and female, speaking different languages, happy improvising or playing from the notes, drawing on the Arabic, African and European influences of their different backgrounds. The binding force is a passion for music, an admiration of each other’s talent, and the sheer joy of making music together – something they share readily with audiences, whether at an intimate concert or lively festival. Artistic leader and composer Haytham Safia is known for the precision and experimentation of his ud playing. His innovative compositions playfully blend his Arabic musical roots with oboe and cello arrangements inspired by Hanneke Ramselaar’s classical European training. 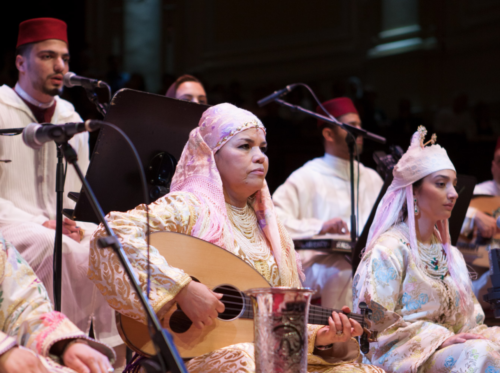 Rhoum El Bakkali and her ensemble return after a successful appearance at the Holland Festival to perform during the Ud Festival. They perform hadra – a mystical musical ritual tradition practised exclusively by women. The women of the ensemble come from the blue-and- white mountain town of Chefchaouen in Morocco, and are renowned for their breathtakingly beautiful voices, the spectacle and rhythms of their performance, and the interplay between the ud and solo singing. They sing poetic songs with a spiritual turn, as their playing builds to a dynamic climax.